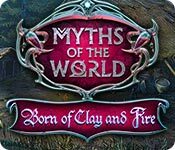 Myths of the World: Born of Clay and Fire is rated 3.9 out of 5 by 11. Rated 5 out of 5 by denniann2 from fight the gargoyles that are invading custom level, interactive map. you play the daughter of an inventor that brings the clayborns to life but they, for some reason, start destroying the city. they were built to protect the citizens not destroy the city. your father is taken into custody and sentenced to death for building them. you have to find out what is going on and clear him. you need to find the ancient rod piece that has been hidden in different places and reassemble it. this is a game that i had to look up a section in the walk through which is very unusual for me. will there be another one.........i feel sure. Rated 5 out of 5 by Aliana_4711 from Again at last a challenging game with a decent length. My rating is based on playing the entire SE. It meets all of my requirements, such as high quality, interesting HO’S and puzzles, decent length, a bunch of locations and more. - Story: A myth is more than just a tale. Your father – an alchemist - has been taken prisoner and accused to be a traitor. He had created a golem and gave it a gift of life. A golem and ancient gargoyles are going to destroy Prague and are fighting against each other. Stop them. Can you find the real traitor, can’t you? - Difficulty can be fully customized: Tutorial, sparkles, map issues, glitter, contextual pointer, plus item indicator, helping texts, penalty and hint / skip recharge. - Graphics: awesome. Fitting to a tale. Nice and detailed drawn locations. - Animation: pretty good. - Music: decent, accentuated and not bothering. - Voice-overs: well done, but the voices of the women were annoying, - Tools: you have an interactive map and magic dust. - HO’s: very well-crafted and very interesting. A huge variety of different types, such as riddles, interactive ones, description, silhouettes, complements. - Mini games: Great mini games. I liked the cemetery map game and the door puzzle for sewer most. - Adventure part: That was clearly not easy. W/o helping texts you need a lot of trial and error. Sometimes it was ambiguous or too vague e.g. commode or cemetery door or warm wax. For narrowing down possibilities I needed the map from time to time. And tried all things, which seems halfway fitting. In hindsight it was clear and logical. But without descriptions it was quite a challenge. Step by step a lot of locations are going to be unfolded (as usual). You have access to them during the whole game, but there is not much forth and back. Mostly between 5 and 7 are relevant. It is not too obvious and needed items aren’t available “just in time” but longer. - Length: I needed nearly five hours for completing. That’s fine. Rated 5 out of 5 by pennmom36 from The Gift Of Life Ignac is a well known alchemist and craftsman who has been secretly experimenting with clay and fire. He has been trying to breathe life into a Clayborne to protect the citizens of Prague. Something goes terribly wrong however, causing his creation to wreak havoc on the city, and the King to sign his death warrant! Ignac's daughter Ilona must search for the truth and discover her father's true intentions to save her father from certain death. Ilona stumbles onto evidence that could lead to the abolishment of alchemy altogether, as she discovers daunting evidence of foul play within the Order of Alchemy! Although this story is eerily similar to the Royal Detective, Golems story, I found this game to be a well written and entertaining game, even if the storylines been presented in every way possible. The graphics are top notch and the puzzles are very clever. The Collector's Edition version has several Achievements to earn as well as 43 Hidden Fire Symbols to find. Some of the scenes have hidden pieces of Stone Plates that form Animal Alchemy symbols once all three fragments have been found. 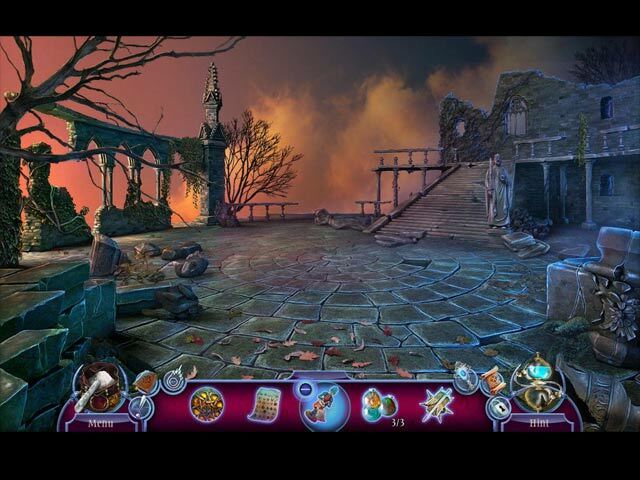 The Hidden Object Scenes are varied and usually multi-layered, there are the usual types, Progressive Silhouetted Shape finds where you find the first item that matches the Silhouetted Shape and use that item in the scene interactively to expose the next item. There are also Listed items during a narrated story where you find items in Bold Print, Fragmented mirrors shards to find, and drawings that depict something missing or an object needed to achieve the end result. The Collector's Edition has an extra feature available within some of the HOP's, of a Morphing Object to find as indicated by a swirling icon. You can opt to play a game of Stepping Stones instead, a click and drag variation of a Match 3 game. The Mini Games are quite decent, most of them are somewhat time consuming, but doable. Below are brief descriptions of some of the games you'll encounter during the demo: 1) Open several doors to match identical pairs of cogs. 2) Select an image from the bottom of the screen, the sun and moon show how to set the hands of the clock on the top screen. Use the reference page to point hands to the correct zodiac symbols. 3) Move the buttons so the number match how many times the symbol is shown on a reference. 4) Turn the needle using arrows until only the three symbols indicated on the drawing are lit, then rotate the crystals to guide the light beam to the bottom. 5) Draw a Line that connects the starting point to each triangle with limited moves and without moving diagonally or crossing the same field. The Collector's Edition has 43 Hidden Fire Symbols, 15 Morphing Objects within the HOP's, 20 replayable Puzzles, 15 replayable HOP's, replayable Skipping Stones games, a Souvenir Boat, 3 hidden Animal Alchemy Symbol stone plates for 8 different animals, 15 Videos, 9 Music Soundtracks, 8 Wallpapers, 8 Concept Art pictures, 14 Achievements to earn, a built in Strategy Guide and a Bonus Adventure, enjoy! Rated 5 out of 5 by biscuitsmama from CAN AN ALCHEMIST BREATHE LIFE INTO CLAY? It’s time to pull out those dusty chemistry sets and find some special ingredients as we become master alchemists in this new Myths of the World game. Prague is in turmoil and what’s even worse; your father has been arrested and sentenced to death. He is suspected of creating the monsters that are decimating the city so it is now up to you to save your father in this absolutely terrific new Myths of the World Born of Clay and Fire. 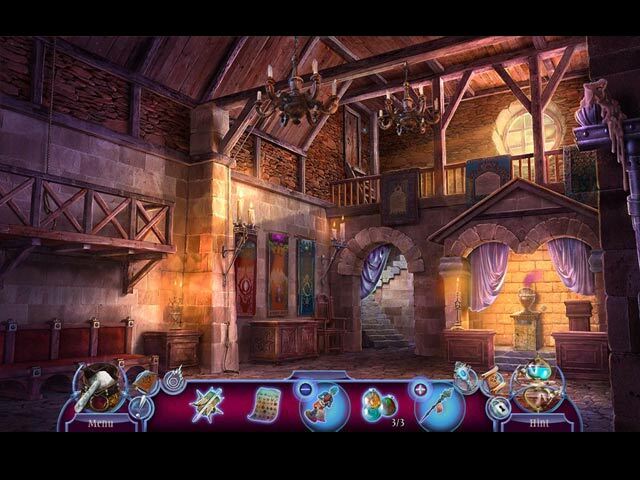 You play the game as Ilona, the daughter of a respected alchemist in Prague. As you try to save your father you open up some secrets and uncover what might have gone wrong with his work to create golems that would serve the king and citizens of the city. There are four modes of gameplay that you can choose: Apprentice, Scholar, Grandmaster, and Alchemist (custom mode). In custom mode the hints can be set to recharge in a range of 10 to 120 seconds and the skips offer a range of 10 to 400 seconds. The terrific graphics should not come as a surprise and coupled with the voiceovers and sound we have the total package that creates an excellent game. The game has six chapters and in the CE is accompanied by a 48 page strategy guide – a good indication that this is a game of decent length. The interactive map is found at beginning of game. Early in the game you acquire Chalk that provides you with a special ability. Thankfully, I didn’t have to complete a mini-game to activate it before use and I wouldn’t classify it as a gimmick. The HOS are nothing new but are interactive and excellent. The HOS include a nice mix of scenes including silhouette, list, very interactive and storybook that help to keep things interesting. If you enjoy the mini-games then you will find some excellent ones in Born of Clay and Fire. IMHO, the mini-games seem to be a bit more challenging and some I haven’t seen before. Although I hate to do it, I had to skip one of the minis early in the game because I couldn’t figure out how it worked. Guess I will have to cheat and peek at the SG I know that many gamers are much better at understanding and completing some mini-games so for them they might seem easy but for me they were more challenging than usual, which I do happen to like. Myths of the World has become one of my favorite series and I eagerly look forward to each new game knowing that fun times lie ahead. Born of Clay and Fire is no exception and I was captured by the demo and knew this was a game I had to add to my library. The story is put together in a logical manner and is quite interesting, which coupled with the gameplay and all of the other features make the entire game excellent. This developer has a knack of creating some of the most interesting games on the market and this one seems to be close to the top of the list. After playing the beta for the game, I couldn’t wait to get my hands on the full release to see how it all plays out. Even though I happen to love the game, please try the demo to see if it is one you will enjoy. Rated 4 out of 5 by gcrazy from Good game I really like the puzzles. They are not easy so takes time to figure them out. Good graphics. Rated 4 out of 5 by hazelwize16 from GREAT LITTLE ADVENTURE LOVE the artwork ... hi res and beautiful ... hos are pretty tame and not many ... mini games are good, though not too complicated ... LOVE the storyline ... some of the continuity is a little bit slow, but this is a pretty good one! ... would have rather had the CE, but this one works great!!!!! Rated 4 out of 5 by PATinPNS from Out of Clay Rises a Saviour This is posted after playing the complete game. I found this game to be interesting and fun. Not necessarily the game I had come to expect from Eipix, but acceptable nonetheless. It was fun enough to pass a couple rainy FL days. Graphics were well done. The colors, although with an abundance of pinks and grays, were acceptable. Sound, including the music and voice overs were extremely well done. I gave the level of challenge three stars, because of the mini games. They were repetitious and way too difficult for my patience level. I didn't understand most of the time what I had to do, and lost interest in them right away. There is an interactive map which was a must for me. I could not, even when I tried, figure out where to go next from the story. I would have been wondering forever around the city. There are several degrees of difficulty from which I chose the custom settings so to get the skip and hint to refill quicker. 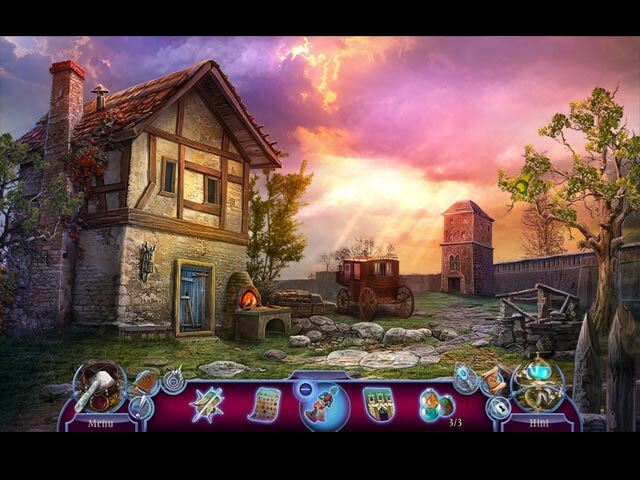 There are several different types of hidden object scenes which kept my interest. Some were very easy and some needed quite a bit of thought. It seemed as though there was always one item I had to really search for in each scene. I mentioned the mini games, which there are a lot. Some I would consider mini games like putting pictures together, were difficult and offered no help even with the use of the hint button. I ended up needing to go to the walk through to get a solution. Those who enjoy these types of mini games will love this one. The story isn't anything new. Got gargoyles and clay creations that do battle to save the kingdom. Evil versus good. It's time to get something realistic in these games, but that is a personal opinion. Give the demo a try, it's nice and long and you get a great idea of what the game is about. I think you will enjoy it especially if you like mini games. Rated 3 out of 5 by campingramps from Not quite a 4 star for me but close I have mixed feelings on this one. Although I enjoyed the game play in general, it does have some of the elements I hate such as the subtitled stories where you need to find the highlighted words. I detest those and these seemed to have hard to find articles and they were overly long. Other than that the other HO's and mini games were enjoyable and had just enough challenge to not frustrate or bore you. Graphics were great and the detail is typical Eipix quality. Colors are bright where needed and dark where needed. Characters were not cartoonish and were well drawn and their mouths actually moved when speaking. There was a lot of back and forth movement but none of it was wasted sending you on unneeded trips to find things. Overall, I enjoyed this game and like I said, not quite 4 stars but close. I recommend this one for the Eipix fan and the HO fan. Play the demo before you commit to buying because this one might not be for you. Have fun! Rated 2 out of 5 by Alenee from Eipix has run out of ideas with this one BASED ON DEMO: I downloaded this out of basic curiosity, because Eipix has done some very good games in the past. Yet this one is so much a rehashing of all the other games that it's bordering on farce. Not one of the challenges seems to relate to the storyline in any meaningful way; for example, moments after seeing Prague set on fire and facing peasants screaming for help, you're expected to fix a sign hanging over a pub. (Because that's exactly what you do when a city's burning down, right?) After that there's a ridiculous succession of all the usual "weird locks" and concealed objects that need to be dug out of walls and rubble piles, yet not one of them can be found in any sort of linear or logical fashion. It's as if they devs have thrown a bunch of quests from older games into a hat, picked them out at random and stuck them into the game without any respect for the storyline or setting. Few of the missions do anything to progress the plot, or serve any purpose except to make the game longer than it has any right to be, with such a thin storyline. The thing is, there's good long games and bad long games, and these days Eipix seems to be stuck firmly into the latter category. As for the storyline, I have played through this demo without finding out a single detail more about what's going on than I knew when it all started. This is the third or fourth Eipix game I've picked up where it doesn't seem to even have a plot. Perhaps that's because Eipix has lost the plot. I seriously doubt that I'll ever be downloading anything from them again because, well, if they can't even be bothered to do good demos anymore, they don't deserve my money.